The FSSRU is focused in achieving its mission of developing a pool of potential players worthy of selection into Fiji’s national side. The FSSRU structures its schools competition into 6 zones namely the North, East, West, Baravi and Maritime zone and apart from the local “Deans Competition” it also participates in an annual international meet known as the “Tri-Nations Tournament” along with New Zealand and Australia.In the 2013 “Tri-Nations Tournament” the Fiji Under-18 Grade created history when it defeated the New Zealand School boys team in Sydney, Australia. 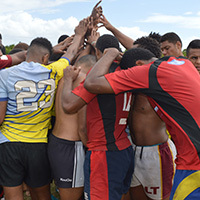 Whilst there is a promising future of the sport amongst our secondary school students, the development of young talent can be hindered when funds are limited.Though the Under-18 Tri-Nations meet has been a success, one crucial area that needs improvement is the adequate funding of overseas tours like the Tri-Nations. The Deans Trophy is the top prize of the Fiji Secondary Schools Rugby. The competition introduced in 1939 is the oldest competitive tournament in Fiji rugby. It was first won by Queen Victoria School (QVS). QVS has since won the Deans Trophy 14 times and drawn five times. Lelean Memorial School (LMS), the current Deans holders, has won the trophy 12 times and drawn five times. Lelean first won the Deans Trophy in 1948. 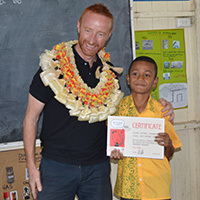 Ratu Kadavulevu School (RKS) has won the trophy 16 times and drawn four times. RKS first won the trophy in 1961.Marist Brothers High School has won the Deans Trophy on four occasions and drawn twice. They first won in 1965. Latter Day Saints College (LDS), Nasinu Teachers’ College, Navuso Agricultural College and Suva Grammar School (SGS) have each won the trophy once. SGS also drew with RKS in 2005. The original Deans Trophy was donated by the Maori All Blacks team that toured Fiji in 1938 to be competed for by the Secondary Schools of Fiji. It is now kept at the Fiji Museum in Suva.In 2008, the Coca Cola (Amatil) company became the official sponsors of Fiji Secondary Schools’ Rugby and donated a replica of the original Deans Trophy. Lelean is the first school to win the new sponsored trophy and they are the current holders of the trophy. The FSSRU is focused in achieving its mission of developing a pool of potential players worthy of selection into Fiji’s national side. The FSSRU structures its schools competition into 6 zones namely the North, East, West, Baravi and Maritime zone and apart from the local “Deans Competition” it also participates in an annual international meet known as the “Tri-Nations Tournament” along with New Zealand and Australia.In the 2013 “Tri-Nations Tournament” the Fiji Under-18 Grade created history when it defeated the New Zealand School boys team in Sydney, Australia. Whilst there is a promising future of the sport amongst our secondary school students, the development of young talent can be hindered when funds are limited. 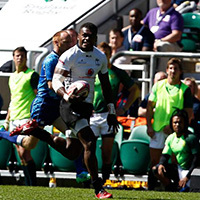 Though the Under-18 Tri-Nations meet has been a success, one crucial area that needs improvement is the adequate funding of overseas tours like the Tri-Nations. The Deans Trophy is the top prize of the Fiji Secondary Schools Rugby. 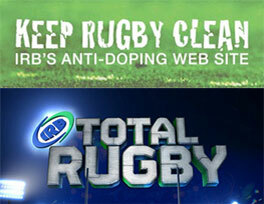 The competition introduced in 1939 is the oldest competitive tournament in Fiji rugby. It was first won by Queen Victoria School (QVS). QVS has since won the Deans Trophy 14 times and drawn five times. Lelean Memorial School (LMS), the current Deans holders, has won the trophy 12 times and drawn five times. Lelean first won the Deans Trophy in 1948. Ratu Kadavulevu School (RKS) has won the trophy 16 times and drawn four times. RKS first won the trophy in 1961.Marist Brothers High School has won the Deans Trophy on four occasions and drawn twice. They first won in 1965. Latter Day Saints College (LDS), Nasinu Teachers’ College, Navuso Agricultural College and Suva Grammar School (SGS) have each won the trophy once. SGS also drew with RKS in 2005. The original Deans Trophy was donated by the Maori All Blacks team that toured Fiji in 1938 to be competed for by the Secondary Schools of Fiji. It is now kept at the Fiji Museum in Suva. 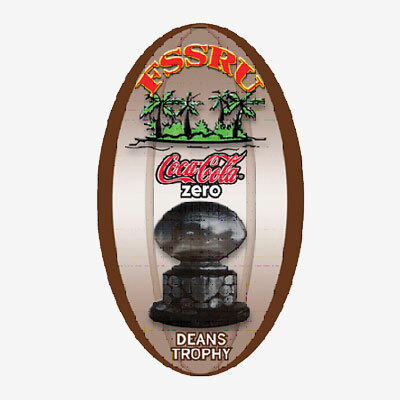 In 2008, the Coca Cola (Amatil) company became the official sponsors of Fiji Secondary Schools’ Rugby and donated a replica of the original Deans Trophy.Lelean is the first school to win the new sponsored trophy and they are the current holders of the trophy.